An encouraging start from Fulham saw Luciano Vietto scuff a volley wide from a promising position, and that miss was punished by Pogba 14 minutes in, the midfielder racing on to Martial’s pass and blasting left-footed beyond Sergio Rico at the near post. United seemed happy to invite Fulham on to them in order to strike on the break, and they did so in ruthless fashion 23 minutes in. Phil Jones won back the ball and released Martial, who burst forward while holding off Denis Odoi, skipping beyond Maxime Le Marchand and slotting past Rico. United substitute Alexis Sanchez shot straight at Rico when clean through and then saw his cross nodded just over by Scott McTominay, while Fulham’s best chance for a consolation goal fell to Ryan Babel, who somehow hit the outside of the post from practically on the goalline, drawing a wry smile from his manager. It is an 11th league game without defeat against Fulham, and marks the first time they have won six matches away from home in a row since May 2009. While Solskjaer’s men will be feeling buoyed ahead of a daunting run of games, Ranieri’s side will sense the pressure building. They remain seven points from safety. 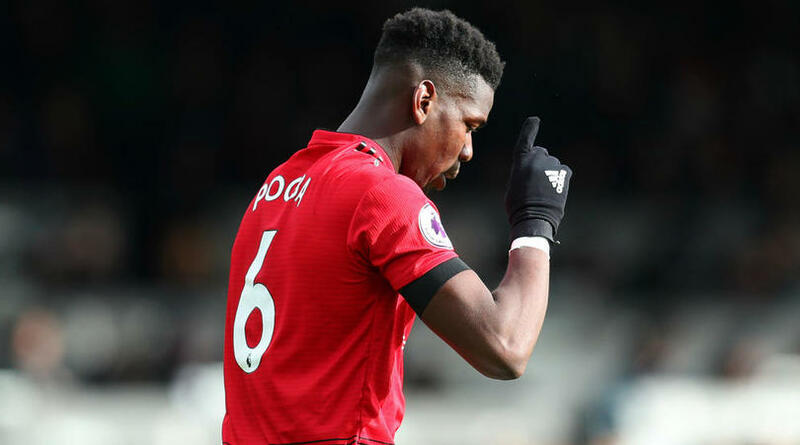 Martial’s runs from deep down the left were causing Odoi problems even before he set up Pogba’s opening goal and scored a sublime second himself. It was a clinical, sometimes classy display from the Frenchman. Fulham’s continued defensive problems were underlined by Le Marchand’s display. He made a lame attempt to stop Martial’s run for the second goal and clattered into Mata to concede the penalty. United host Paris Saint-Germain and travel to Chelsea before their next league outing, at home to Liverpool on 24 February. Fulham have 13 days off until they travel to West Ham for a London derby.